I∙SPARC is pleased to announce its Team BC Coaching Staff and to announce that registration is open for the Player Selection Camp to select Indigenous athletes to Team BC to participate in the 2019 National Aboriginal Hockey Championships (NAHC). The NAHC provides a forum for elite Bantam/Midget age Aboriginal hockey players from across Canada. The event aids in fostering cultural unity and pride and celebrates the athletic abilities of Indigenous athletes from across the country. Team BC is represented by two teams, one male and one female which are both comprised of the top players from across the province. For more information about the Whitehorse 2019 NAHC, please visit www.nahc2019.com. 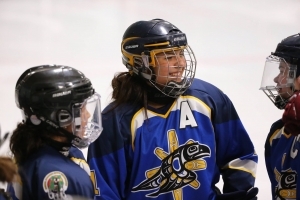 Top Indigenous male and female hockey players are invited to participate in the 2019 Team BC Player Selection Camp where players will be evaluated and selected over a three-day period by the Team BC Coaching staff. 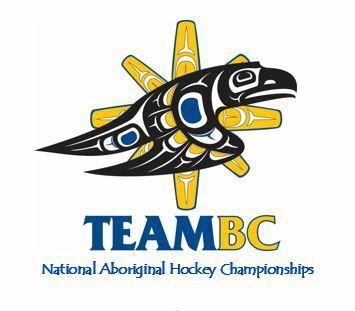 Team BC is seeking 20 male and 20 female athletes to represent BC at the NAHC. The 2019 Camp Registration Fee of $120 per player will include a Team BC Selection Camp practice jersey. Pre-registration is mandatory as no ‘walk-ins’ are accepted. Resident of British Columbia and be of Indigenous ancestry (First Nations, Métis, Inuit). Acceptable proof of ancestry includes Status card, Treaty card, Provincial Métis card, Inuit or Inuvialuit identification. For those without a card, a formal Declaration of Ancestry may be completed with supporting documentation (form available upon request). *NOTE: this is a program primarily for Midget aged hockey players (born 2001-2003), but Bantam age players are eligible to compete in the NAHC. As a competitive selection camp, Midget and Bantam players will be competing amongst one another for a position on the team. For safety reasons, bantam aged players (born 2004-2005) must be approved by the coaching staff before they can participate in the camp. The coaching staff will consider the player’s size and competitive experience in rendering a decision. Applications for the two vacant Trainer positions (one for each of the Female Team and the Male Team) are currently being accepted. For details and to submit an application, please visit the application link here. For more information about Team BC and the Indigenous Sport, Physical Activity and Recreation Council, visit www.isparc.ca or www.facebook.com/ISPARC.BC/, or contact teambc@isparc.ca or call 250.940.4906.